An exception to the 10% penalty on distributions from a qualified plan (but not an IRA, an IRA is split via a transfer incident to a divorce, which is not an automatic exception) Qualified Domestic Relations Order, or QDRO (cue-DRO). A QDRO is often put into place as part of a divorce settlement, especially when one spouse has a qualified retirement plan that is a significant asset. What happens in the case of a QDRO is that the court determines what amount (usually a percentage, although it could be a specific dollar amount) of the qualified retirement plan’s balance is to be presented to the non-owning spouse. Once that amount is determined and finalized by the court, a QDRO is drafted and provided to the non-owning spouse. This document allows the non-owning spouse to direct the retirement plan custodian to distribute the funds in the amount specified. In the case of a QDRO, the owning spouse will not be taxed or penalized on the distribution. In addition, if the non-owning spouse chooses to roll the distribution into an IRA, there would be no tax or penalty on that distribution to her either. If the non-owning spouse chooses to use the funds in any fashion other than rolling over into another qualified plan or IRA, there will be tax on the distribution, but no penalty. Many times it may make sense for the non-owning spouse to leave the account with the qualified plan (rather than rolling into an IRA) if there may be a need for the funds at some point in the future. This will be dependent upon just how “divorce friendly” the qualified plan custodian will be. Sometimes plan administrators do not look favorably on long-held accounts by non-participants. This may require a rollover of the account, eliminating your QDRO special treatment. Of course other 72(t) exceptions could apply, but if there was a need that did not fit the exceptions and the distributee did not wish to establish a series of substantially equal payments for five years, the QDRO would still apply to the distribution from the qualified plan (as long as the funds are still in the plan that the QDRO was written to apply to). 14 comments already - add to the conversation! Posted in: 72t, divorce, Early Distribution, IRA, qdro, tax. I have a percentage of a federal pension as alimony through a QDRO, my question is will the Social Security offset of my own Social Security be in effect? It seems the government considers me Federal when it suits them and not when it suits them, and I really don’t know which way this will go. WEP (or GPO) is only triggered by a pension that you have earned by working for the government entity. Since the pension you will receive is not based on your own work, it will not cause a WEP (or GPO) impact to your Social Security. Thank you Jim, that helps so much with planning. Just for the record, the fact is in the case I am enduring is that the ex-wife of my current husband has managed to steal part of an inherited IRA that was specified to go to our children. The ex-wife has NO QDRO & has never had one yet through her attorney & Judge husband they have been able to break all kinds of laws! We have inquired all over southeast Missouri for help to no avail because of who these people are. So, the fact of the matter is it doesn’t matter what the “rules or laws” are. By the way, the divorce of my husband from his ex-wife took place 20 years ago in 1998; he hasn’t been able to be free from her on-going attacks on our family. Should someone that can help us see this post please do. What are the rules and laws in Missouri governing whether or not an inherited IRA is garnishable or not? I don’t know for sure – you should contact a Missouri-based attorney for this information. When is Your Social Security Birthday? and Income Tax issues and concerns. In addition to this blog, you’ll find Jim’s writings all around the internet, as he is a regular contributor to Forbes.com, TheStreet.com, and FiGuide. Several other sites also republish his work. He has also written An IRA Owner’s Manual and A Social Security Owner’s Manual – both books provide comprehensive guides to these vexing subjects. Sterling provides expert guidance for your Retirement, Insurance, Education Funding, Investments and Income Tax issues and concerns. In addition to this blog, you’ll find Sterling’s writings all around the internet. Sterling is also an adjunct professor teaching courses in math, finance, investments and insurance. If you’d like to have us work with you on your financial questions, follow this link for more information on how to get started. 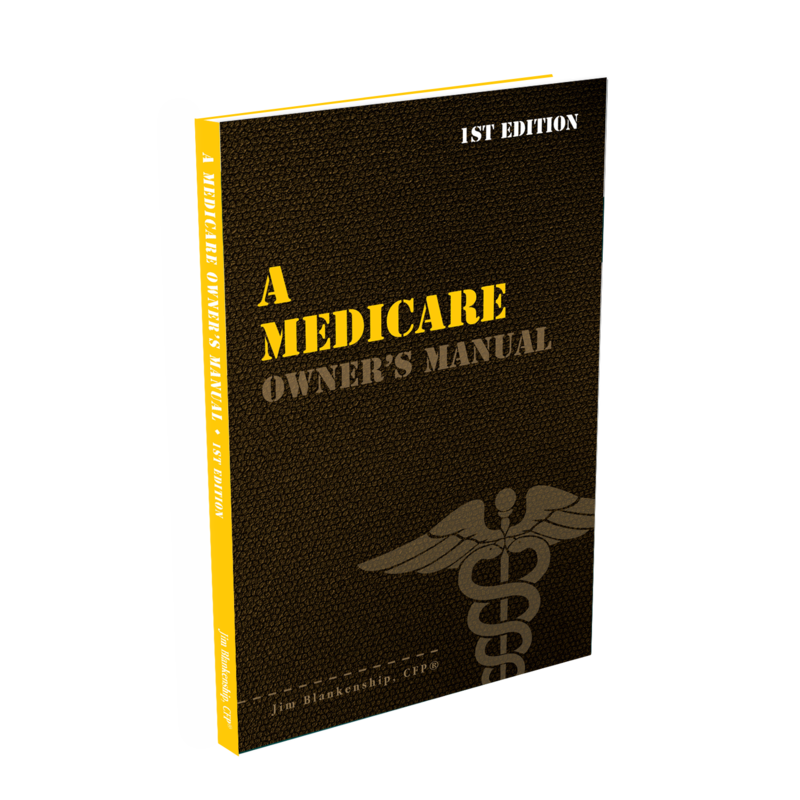 Jim’s newest book, A Medicare Owner’s Manual, was published in January 2019 and is available on Amazon at this link. This book is the third in the “owner’s manual” series, complimenting the IRA and Social Security owner’s manuals (below). 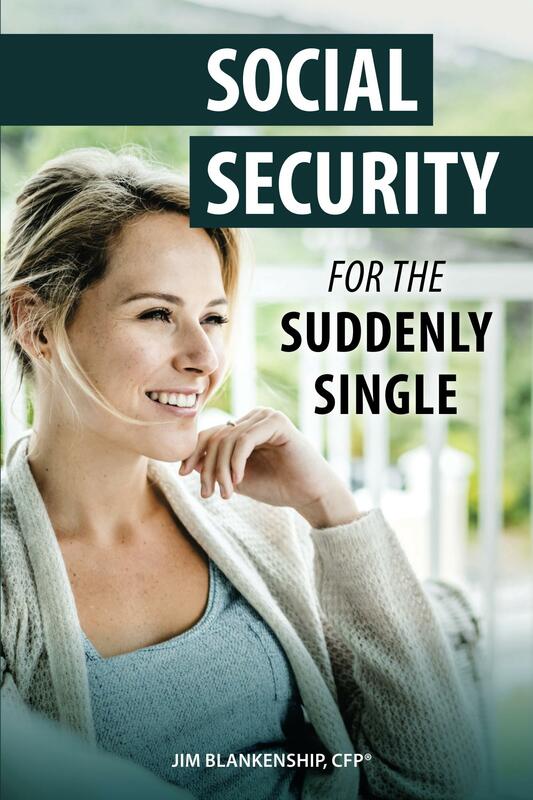 Social Security for the Suddenly Single can be found on Amazon at this link. This book is narrowly-focused on divorcee Social Security strategies and rules. It is also available in a Kindle version. Sterling’s first book, Lose Weight Save Money, can be purchased at this link. The book is also available on Kindle, which you can find at this Kindle version link. 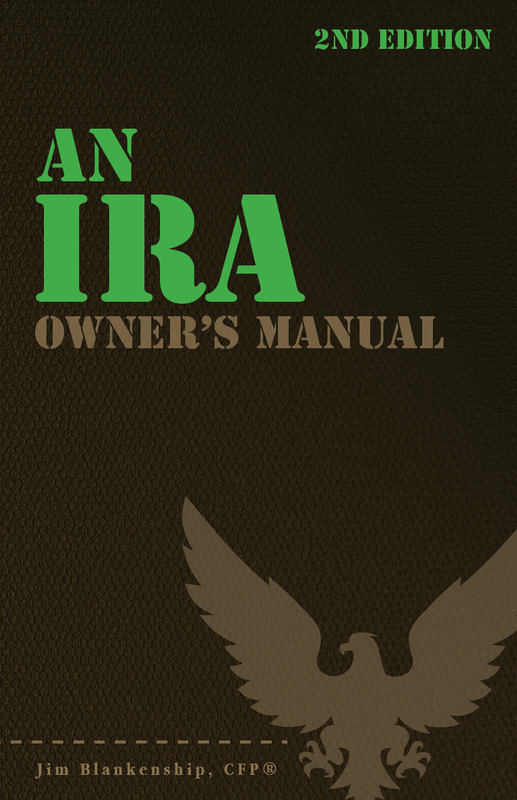 An IRA Owner’s Manual, 2nd Edition is available for purchase on Amazon. This edition has been updated for 2019. Click the link to choose the paperback version, or the Kindle version. 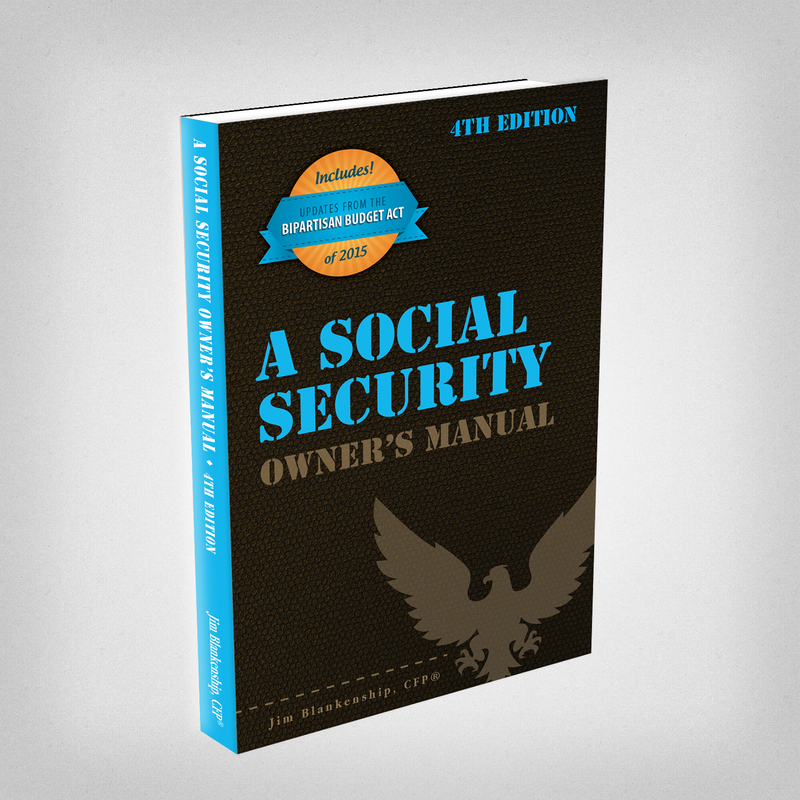 Jim’s book – A Social Security Owner’s Manual, 4th edition, is also available on Amazon. This edition has been updated for 2019. Click this link for the Amazon ordering page. In case you hadn’t already noticed, this blog doesn’t have much to do with ducks – or any waterfowl for that matter. No, what we’re doing here is talking about all things financial; getting your financial house in order. Here in the Midwest, “getting your ducks in a row” implies organization, which is one of the outcomes of having a better understanding of your financial life. I hope you find the answers you’re looking for among the articles here, and perhaps a smile. If you can’t locate your answer, drop me an email or give me a call – we’ll see what we can find for you. And if you’ve come here to learn about queuing waterfowl, I apologize for the confusion. You may want to discuss your question with Lester, my loyal watchduck and self-proclaimed “advisor’s advisor”. You’ll get a personal email every time a new article is posted – and your email will never be used for anything else without your permission.